Light up your room with this striking, contemporary design. 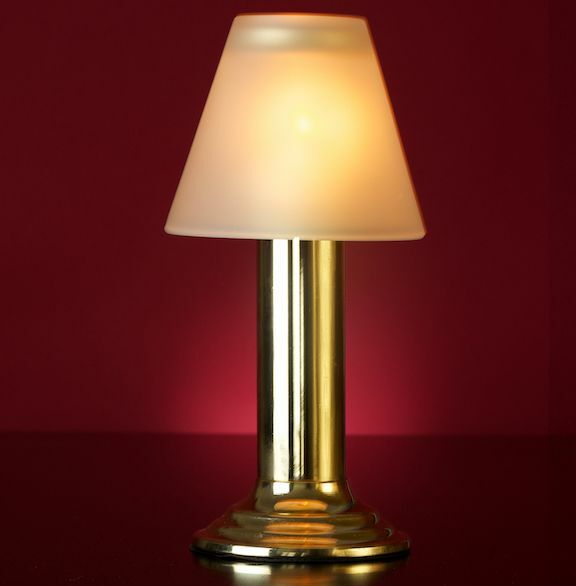 Superb quality and well crafted lamp stand with frosted shade. A timeless design ideal for fine dining, the Heritage lamp is our tallest design that will complement your table setting with its rich gold metal base unit and chunky glass shade, this lamp creates classic understated lighting. Uses code #340 Liquid Wax Candles with burn time of 30 hours. Kensington, London, SW7 4UB, United Kingdom. Deluxe Shop offers Giftware, Homeware, Professional Catering & Event Equipment to corporate and private clients in the UK. Our guiding principle is to provide world class design-led and traditional products that add value to clients businesses by strengthening corporate identity and brand. Clients include luxury hotels, business premises, resorts, interior designers, new apartments, entertainment etc. We service private clients also. At Deluxe Shop, we see the bigger picture therefore are relentless at providing solutions. Speak to us about your next project.